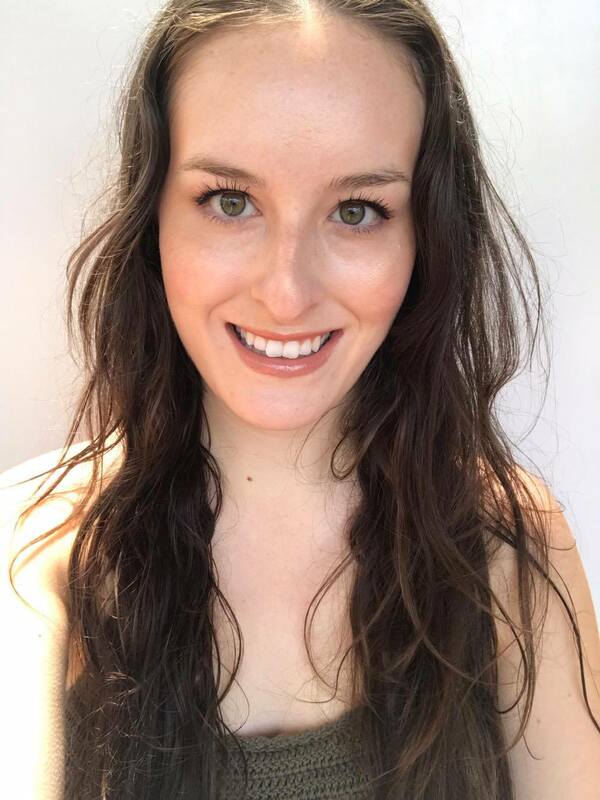 I am no stranger to natural sunscreen products, and have tried more than my fair share in an attempt to find the best, most effective formulations out there. Kosmea's SPF 30+ is a relatively new love of mine and a product that you will find in my beach bag this summer! The first thing that drew me to Kosmea as a brand is that it is Australian. I love international brands as well, as you will see on this blog, but I do like products that are easily accessible and don't cost millions in shipping charges. 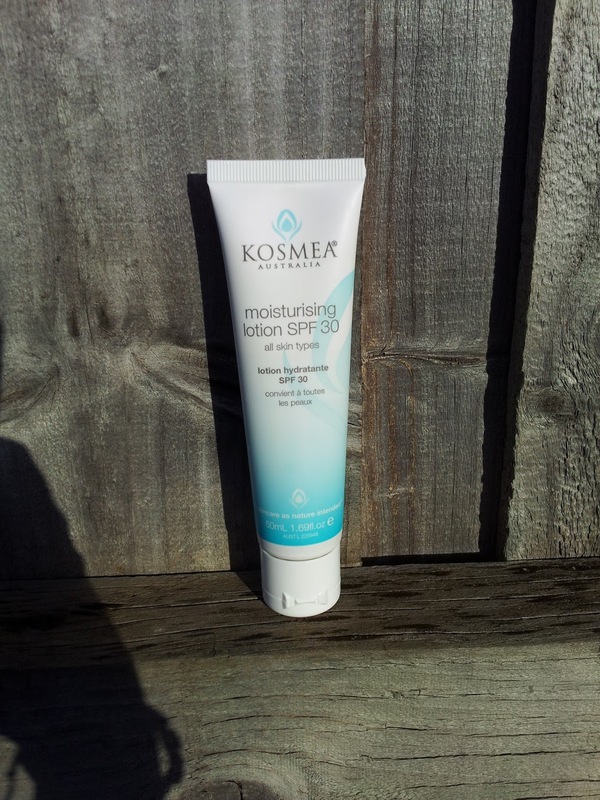 Kosmea's Moisturising Lotion contains zinc oxide, which provides the product with a broad spectrum content of SPF 30+. Generally speaking, most natural SPF products I have tried tend to be super greasy, turn you ghostly white, or dry our skin out due to the high zinc content (something I experience a lot with my dry skin). Amazingly, this formula is almost perfect. I get a touch of dryness if I don't put moisturiser underneath this, and that is the only (small) complaint I have! The product is a light tan colour, so you don't have to worry about it making you pale. However, it isn't tinted either. It completely disappears into your skin, without leaving any greasiness! It also feels really light on your skin and it hasn't caused any breakouts. I am a big believer in ingredient transparency, and will not purchase a product unless I have read the COMPLETE ingredients list, to make sure there are no nasties. I have popped the full ingredient list below for you. Ingredients: Active Ingredient: Zinc Oxide 200mg/g, Purified Water (Aqua), Isoamyl Laurate, Capric/Caprylic Triglyceride, Sorbitan Stearate, Sucrose Cocoate, Cetearyl Alcohol, Cetearyl Glucoside, Caprylyl Glycol, Hydroxypropyl Starch Phosphate, Polyhydroxystearic Acid, Phenethyl Alcohol, Aloe Barbadensis (Aloe Vera) Leaf Juice, Rosa Canina (Rosehip) Seed Oil, Xanthan Gum, Cucumis Sativus (Cucumber) Seed Extract, Rosa Canina (Rosehip) Fruit Extract, Camellia Sinensis (Green Tea) Leaf Extract, CI 77492, CI 77491, CI 77499. I love this product and know I can rely on it to protect me from the sun, while feeling and looking good on my skin.